Size: Approx. Size may vary. Ideal for any occasion! 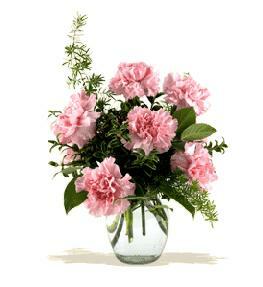 Will make your message stand out and be long remembered. 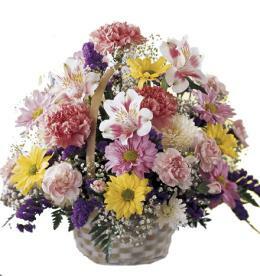 Gifts of flowers and plants give the receiver and the sender a feeling of appreciation that remains long after the day of delivery. Suggest a large full size cad for your message. Other add ons available include some themed mylar helium balloons, a box of chocolates and/or a stuffed animal.. Orchids in Vase with Teddy Bear. 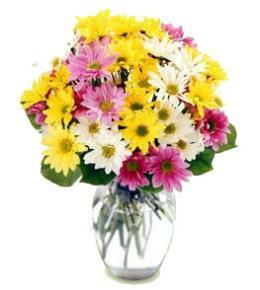 Florist Notes: This hand tied bouquet features daisies and other bright blooms. 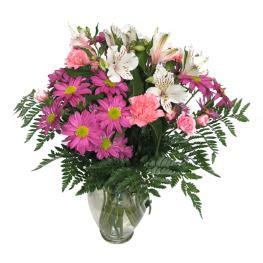 Arrives wrapped and ready for the recipient's favorite vase. 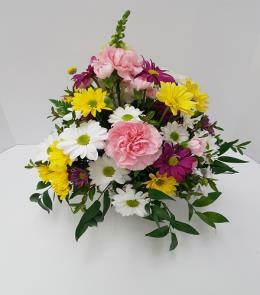 Arrangement Details: Hand made by a real local florist and hand delivered as you request. 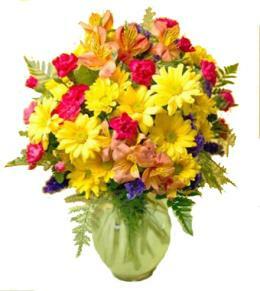 Only the freshest flowers will be chosen to allow your gift to last for several days. A gift you will be proud of forever.